Pre-Owned BébéSounds Angelcare Movement Sensor Pad. 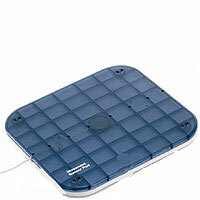 The under-the-mattress motion sensor pad detects all of your child's movements, even when your baby is asleep. Note: Sensor Pad must rest on a completely flat, hard surface. *This includes the Sensor Pad Only. *The Nursery and Parent Units are not included.